Don’t see a Team Betty close to you? Just send us an email & we’ll be glad to help you find or start one! 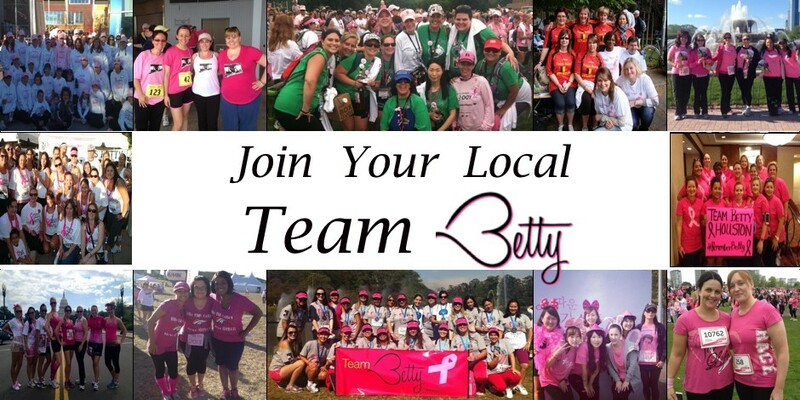 What events does Team Betty participate in? up a fundraising page for Remember Betty. Can I plan a fundraiser without being part of a run/walk? find a team for you that could benefit from your fundraiser. higher fundraising minimum that must be met in order to participate.